Chief Federal District Court Judge Scott W. Skavdahl sentenced KELLEN MICHAEL SORBER, 27, on March 18, 2019 to forty-four months (3 1/2 years) in federal prison for setting fire to the Albany County Republican Party Headquarters in Laramie, Wyoming. In the early morning hours of September 6, 2018, Defendant Kellen Sorber maliciously set a fire inside the building located at 214 East Ivinson Avenue in downtown Laramie – a property used as headquarters for the Albany County Republican Party on the main level and a private residence on the second floor. 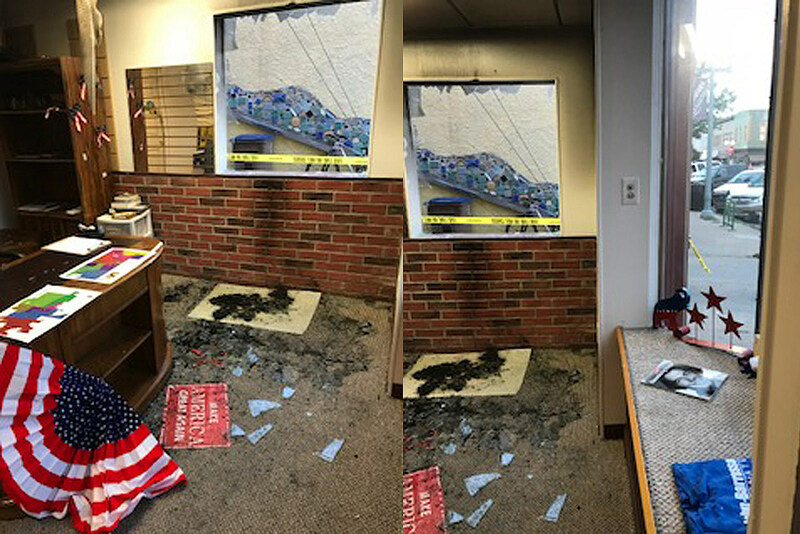 The Defendant used pieces of concrete cinderblock to smash through a window and set a fire on the floor just inside the GOP headquarters. Sorber then left the area with the fire burning out of control. The Laramie Police and Fire Departments along with agents from the Bureau of Alcohol, Tobacco, Firearms, and Explosives investigated the case. They used DNA evidence, cell phone records, and security camera footage to identify Sorber and tie him to the crime. He was indicted on November 15, 2018. “The arson in this case appears to have been motivated by animosity toward a political party. Regardless of viewpoint or cause, such political violence is unacceptable and will not be tolerated.” stated United States Attorney for the District of Wyoming, Mark A. Klaassen. Sorber was also ordered to pay a $6,200.00 fine and $100.00 in a special assessment. Upon completion of his prison sentence Sorber will be on supervised release for thirty-six months.